While on the blanket protest Bobby Sands wrote a song, I Wish I Was Back Home In Derry, which he sang out his cell door to the air of Gordon Lightfoot’s song, The Wreck of the Edmund Fitzgerald. Many folk music fans have long noted an almost note-for-note similarity between Lightfoot’s tune and “Back Home in Derry” — an Irish song made famous by Christy Moore and written by Irish rebel Bobby Sands, famous for his death by hunger strike in protest of British policies in Northern Ireland. There are entire Internet threads debating which song came first and who borrowed or stole from whom. Lightfoot’s song was recorded first, but that doesn’t mean it was written first. But it seems no one ever has asked Lightfoot about it—until now. When told his version came first and asked why, if he wrote it, he didn’t pursue copyright infringement, Lightfoot just chuckled. And that generous, casual attitude perfectly fits Lightfoot’s personality, and with good reason: It’s hard to get too worked up over small things when you have been in a coma one year, and then heard of your own death on the radio a few years later. Of course, Lightfoot actually had a close call with death eight years earlier, in 2002. An aneurism put the Canadian folk legend into a coma for six weeks. It’s a good thing he can, because one of Lighfoot’s trademarks is his rich baritone voice, which stands in stark contrast to many singers of his era, and even of today. Along with “Wreck of the Edmund Fitzgerald,” which reached No. 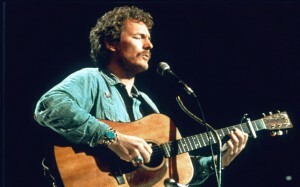 2 on the Billboard charts in 1978, Lightfoot is best known for his 1974 No 1 hit, “Sundown.” He said the song hit everyone as a potential hit almost immediately.